The vivo NEX series will be announced on June 12. The device will be the retail version of the Apex Concept Phone and already appeared in a video of a popular video channel in China, called Unicorn Show. The video points out the massive screen with a comparison to the iPhone X, which surely looks staged. People are also surprised by the periscope camera that comes out of the top bezel. You can also see there is no fingerprint scanner, meaning it will most likely be under the display. 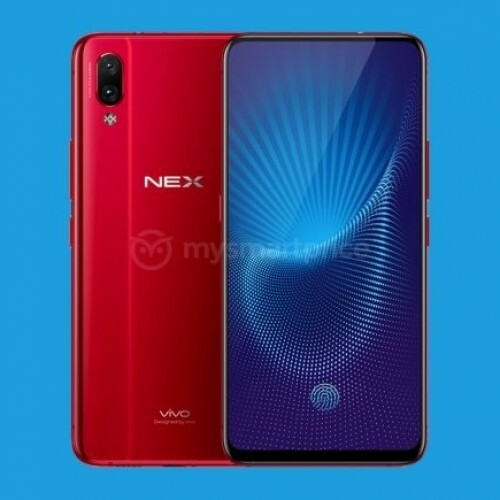 At least two vivo NEX phones are expected - one true flagship, likely called NEX S, and another, aimed at the upper-midrange market, probably called NEX A. Full specs of the latter appeared online, leaving nothing to the imagination. 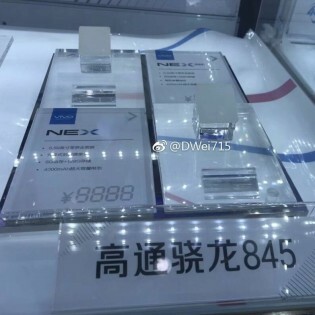 The vivo NEX A will come with Snapdragon 710 chipset. It has octa-core CPU (two high-powered Cortex-A75 cores at 2.2 GHz and six Cortex-A55 units at 1.7 GHz for performance). The RAM is listed as 6 GB, while the memory will be 128 GB. 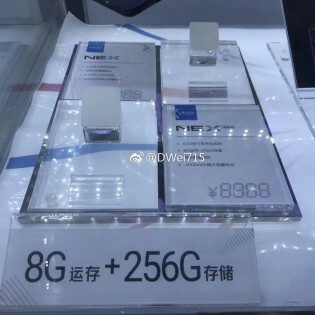 The screen will be 6.59” Full HD+ panel with an extremely tall 2316 x 1080 resolution that goes somewhere between 19:9 and 20:9. 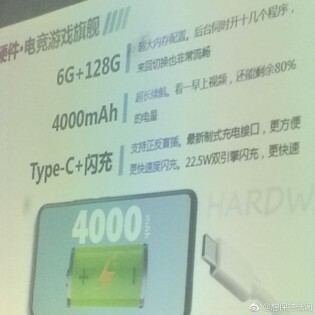 Size-wise, the NEX A will be 162 x 77 x 8 mm and this tall body will have room for a 4,000 mAh battery that supports fast 22.5W charging. The slick back has room for a vertical dual camera setup that will be 12 МP + 5 MP, while the periscope selfie snapper is listed as 8 MP. 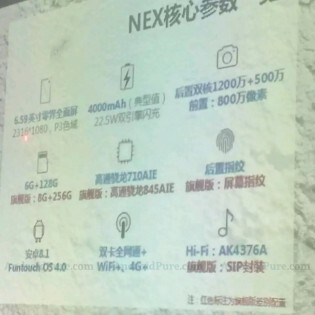 Connectivity will be dual-band WiFi, Bluetooth 5.0, USB 2.0 and some LTE. Since not all 4G bands are listed, a global device is likely to arrive later. We've been seeing a lot of rumors, suggesting anything from smaller screens to three NEX devices, so we would like to give the benefit of doubt on the specs above. They need to do away with the ribbon cable and just place the connection contacts on the back of the screen. Only 12 year old girls take selfies and facetime.